Registration. REGISTRATION IS NOW CLOSED DUE TO OVERWHELMING INTEREST IN THIS EVENT. The event capacity is limited to 50 participants and registration is required. Purpose. 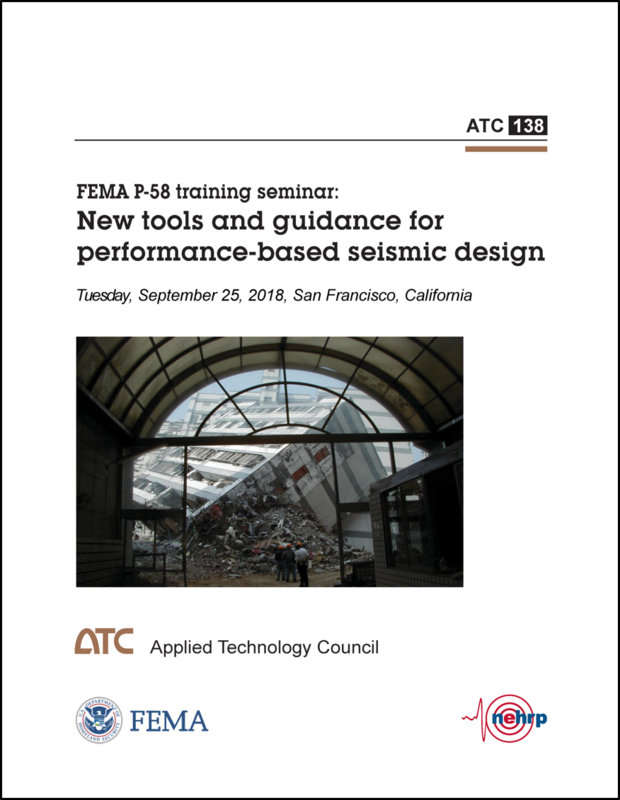 This training will present new tools and guidance for performance-based seismic design, developed under the second phase of the FEMA P-58 project. This methodology was first published by the Federal Emergency Management Agency (FEMA) in 2012, along with an implementation tool for seismic performance assessment of buildings. The follow-on project, conducted by the Applied Technology Council with funding from FEMA, developed guidance on performance of code-conforming buildings and seismic design of new buildings, as well as improvements to existing tools, incorporating environmental considerations related to seismic performance of buildings. This training seminar will provide an overview of the newly available tools and guidance. Registration Information. The event capacity for this free event is limited to 50 participants and registration is required. Please note that the event capacity is limited to 50 and your registration is not final until you receive a confirmation email. REGISTRATION IS NOW CLOSED DUE TO OVERWHELMING INTEREST IN THIS EVENT. Participation is limited to in-person attendance only. The material covered is a repeat of the training conducted on June 25th, 2018, in conjunction with the 11th National Conference on Earthquake Engineering in Los Angeles. Training materials will be provided at the location. Box lunches will be provided at the conclusion of the seminar.